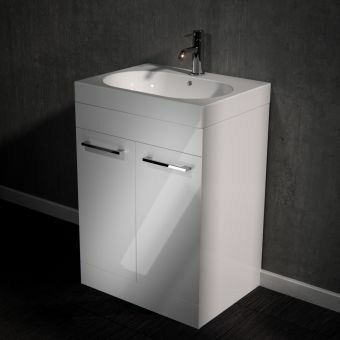 **A matching worktop and basin can be added during configuration. 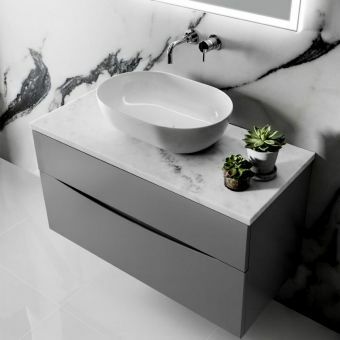 The worktop is 1200mm long and must be cut to size on site. 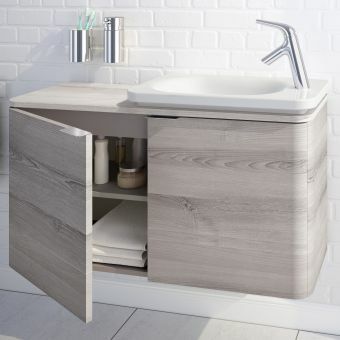 ** Combining storage space with a an attractive semi recessed basin, Burlington demonstrate their eye for fashion and deliver a beautifully rendered vanity unit for the modern living space. 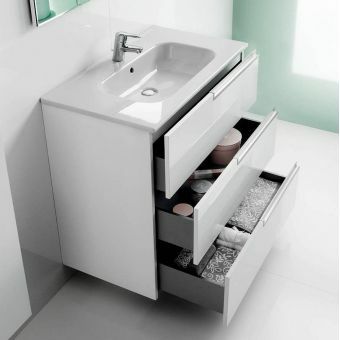 If there is a single bathroom furniture item that is the must have piece for the modern living space, then the vanity unit is it. 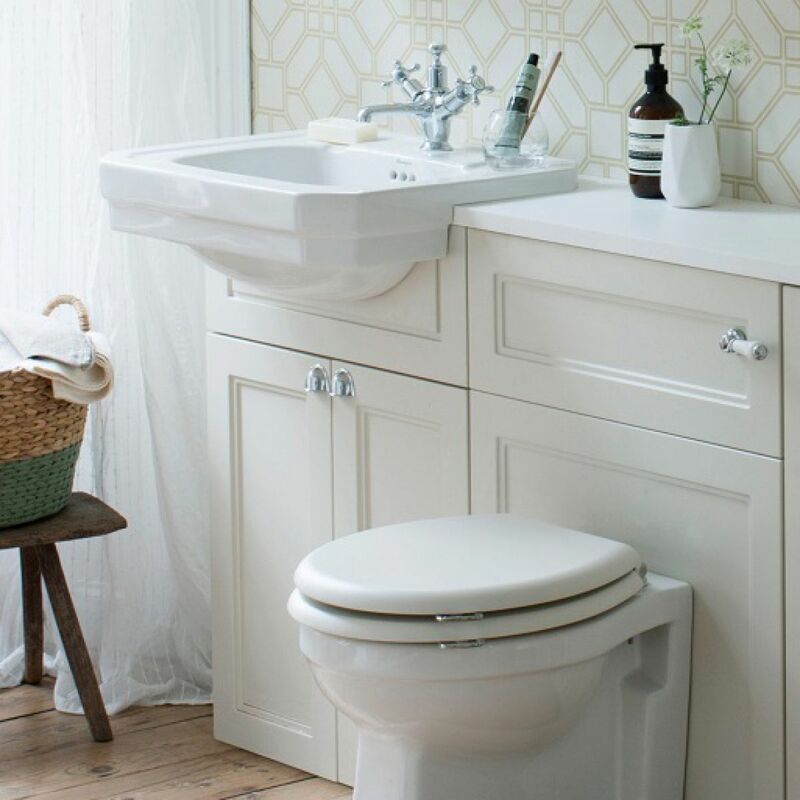 The Burlington Semi Recessed Vanity Unit has a trim profile and takes a modest stance on appearance, with a minimum of ornamentation for a clean and open finish. Twin doors reveal ample shelving space, handy for keeping all those essential toiletries neatly stored away, but close to the wash space where they are needed. 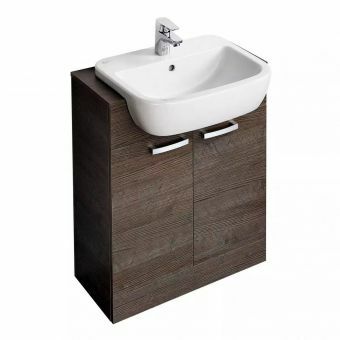 Supplied in three tasteful colour finishes, these units are an ideal match in the bathroom that uses monochrome or muted colours, and leans towards an open, airy atmosphere. 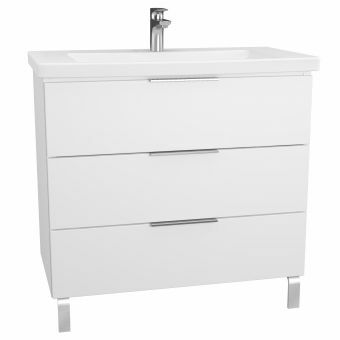 Please note that taps pictured and waste are not included in price, and may be ordered separately.